2.5″ of rain fell on Hilldale the past three days…thankfully it’s over. Sounds like the sun will be out this afternoon and from there the weekend looks great! We’ll have to keep golf carts on paths through tomorrow (10/17), and then hopefully be ok to exit paths on Sat./Sun. 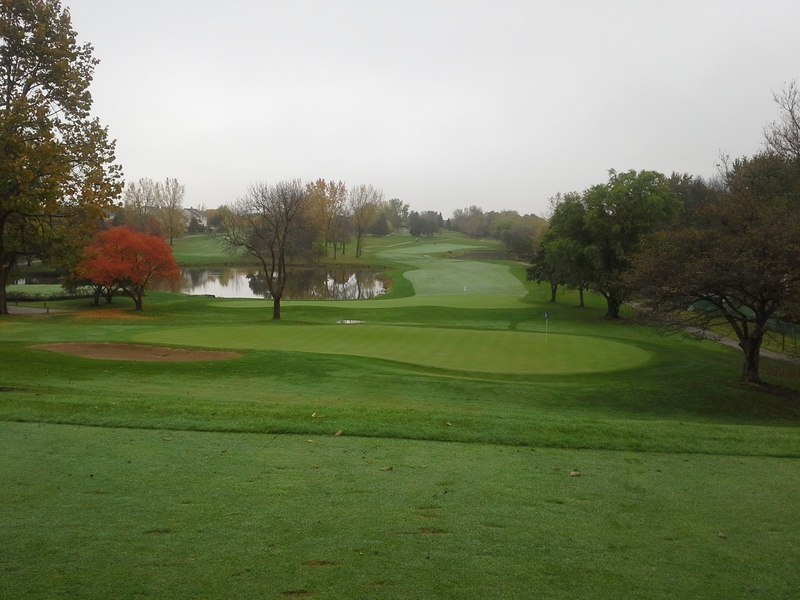 “Our staff is putting things back together” after so much rain, but everything is going well with regard to bunker washouts being resolved and catching up with leaf cleanup. The greens are rolling very well and with an assist from the sun and wind (drying conditions); green surrounds, tees, and fwys should also be in good playing condition by the weekend. Thanks to all for coming out…see you on the course. This entry was posted on Thursday, October 16th, 2014 at 3:49 pm and is filed under Uncategorized. You can follow any responses to this entry through the RSS 2.0 feed. You can leave a response, or trackback from your own site.